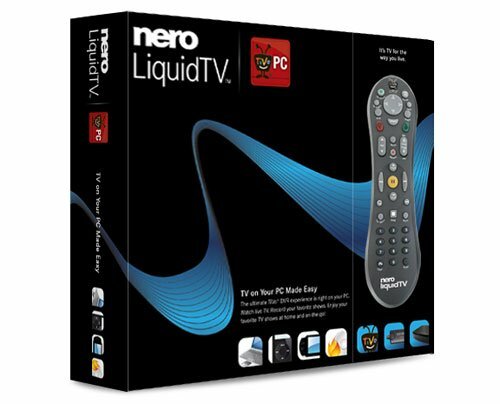 Nero and TiVo have just announced they have teamed to create a new software and hardware product called the Nero LiquidTV | TiVo PC. The product allows users to record TV programs on their PC with typical DVR ease as well as pause and rewind programs. Once TV programs are recorded, the shows can be exported to PSP, iPod or DVD automatically. The kit includes a TiVo PC remote, TV tuner card, and an IR blaster for a wireless connection between the satellite or cable box and the PC. Also included is a one-year subscription to TiVo service. The hardware is compatible with Windows XP or Vista. Retail price for the retail kit is $199 which comes with a year of TiVo service, a Hauppage USB ATSC tuner, an IR receiver, and a Nero-branded TiVo remote. A software only version retails for $99.